Alumna comes “Home” to screen Queens of Syria. Granada Centre graduate Yasmin Fedda (MAVA, 2004) will be returning to Manchester tomorrow (Wednesday May 4th) to screen her documentary Queens of Syria at Home, which will be followed by a Q&A with the director. 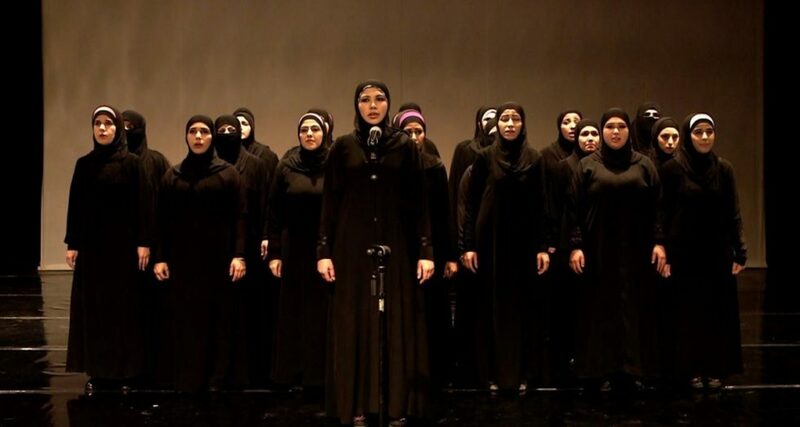 The film, which premiered last year at the Glasgow Film Festival, tells the story of fifty women from Syria forced into exile in Jordan, who came together to create and perform their own version of the classical Greek play Trojan Women, Euripides’ ancient Greek tragedy depicting women in the aftermath of war. You can book tickets for the screening and see the trailer below.